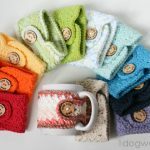 10 Free Last Minute Crochet Gift Ideas - love. life. yarn. It’s after Thanksgiving – can you believe it?? Last year I waited until the very last minute to think about crocheting gifts for my sons’ teachers. (Between the three kids there are seven teachers if you count assistants – that’s a lot!!) So I ended up just buying gift cards and crocheting gift card holders, which turned out really well! This year I wanted to do more so I have already started on the gifts ahead of time. 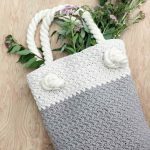 Since it is so close to Christmas I wanted to share 10 free last minute crochet gift ideas that you could make in a hurry if you are limited on time, but still want to give a cute homemade gift. Ready to round ’em up? Here we go! 1. (Almost) 30 Minute Crochet Cowl from Whistle & Ivy. 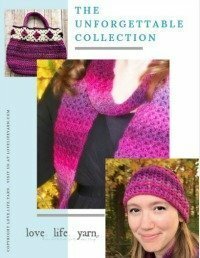 I absolutely love Bethany’s style and the great collection of free patterns she has created for her blog. Think you don’t have time to crochet a cowl? Check this pattern out! 2. 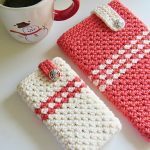 Mobile Device Cozy from Crochet Dreamz. Who knew carrying your phone could be as cute as it is functional? I like the simple design of this one to protect your phone! 3. Ups-A-Daisy Measuring Tape from Simply Notable. This is such a great idea! So cute to add to your crocheting supplies. 4. Easiest Headwrap EVER from I’m Frayed Knot. This is cute and functional and works up easily. I love the flower accent, too! 5. 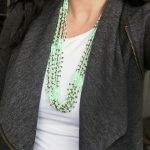 Beaded Crochet Wrap Necklace from The Craft Patch. Wow! 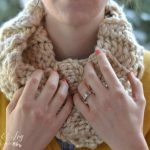 That’s all I can say about this one – the tutorial is clear and easy to follow and the finished project is something I could definitely see myself wearing. 6. Suzette Bag from Make and Do Crew. This bag is perfect for beginners and uses creative findings to give it a polished look. Super easy to make – you could zone out and watch tv while whipping this up. It may take a little longer than other items on this list, but definitely worth it and still simple enough to be considered “last minute”-worthy. 8. 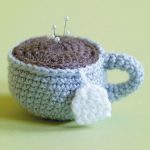 Amigurumi Tea Cup Pin Cushion from Joann.com. 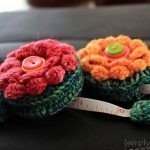 There are a lot of crochet pin cushion patterns out there but this one caught my eye. I love that it is a cute little tea cup – it even has the little tag on it. 9. Mary Jane Slippers from Good Knits. I have yet to try slippers but I love this tutorial – it makes it seem easy and is definitely something I might try soon. 10. Ups and Downs Slouchy Beanie from Moogly. 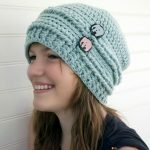 This free hat pattern from the ever-popular Moogly blog is as simple as it is cute. I love the texture and the button accents – and hats work up super quickly for great gifts. 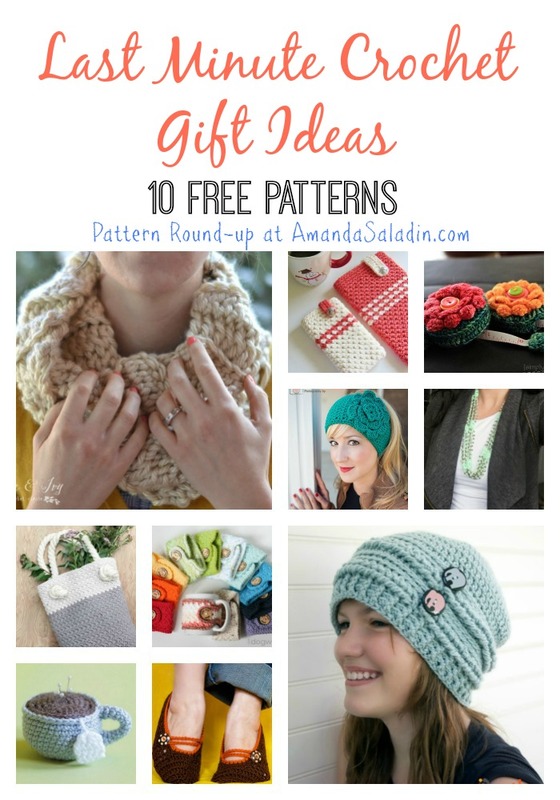 I hope you enjoyed this round up of a few of my favorite free last minute crochet gift ideas. I sure enjoyed creating it! These gifts are stylish, quick, and inexpensive to make. They would make great gifts for someone on your list.